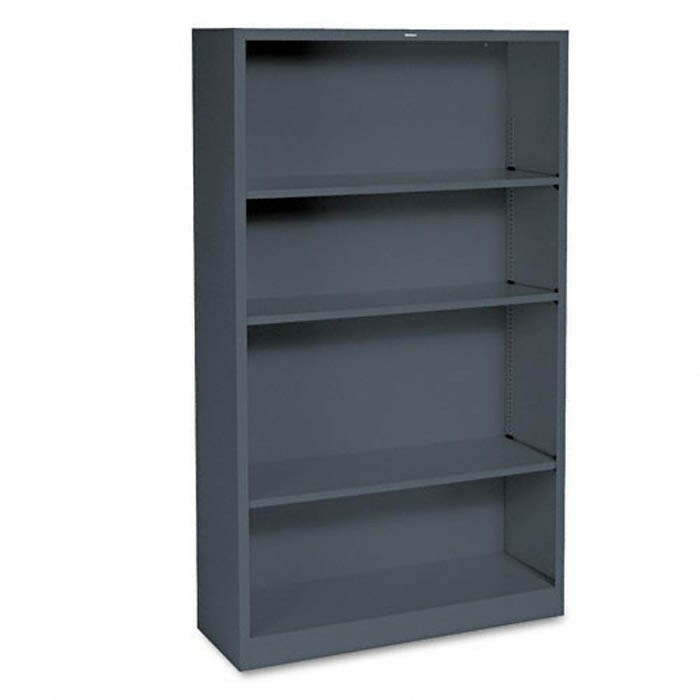 HON Metal Bookcase, 4 Shelves, 34-1/2w x 12-5/8d x 59h, Charcoal 34-1/2w x 12-5/8d. Shelves adjust in 1/2" increments. Straight sides and backs allow flush alignment. Shelf count includes bottom of bookcase. Bookcases ship assembled.